A hot desert climate of Phoenix, the capital city of Arizona, makes having an AC system inevitable. People living and working in hot weather cities, like Phoenix, depend on temperature controlled premises. So, the need for good air conditioning repair company in Phoenix, AZ becomes a necessity. It is essential to fix fast a broken air conditioner as soon as possible in this city. But, unfortunately, there are a lot of unprofessional Air Conditioning repair companies in Phoenix AZ. If you are in Phoenix and need air conditioning repair service, the best choice for you is AFR Dynamics HVAC Repair Service Company. We provide you with the best service to keep your home or office at the desired temperature. Just hire the best Air Conditioning repair company in Phoenix AZ and contact us. How to know that our AC needs repair? 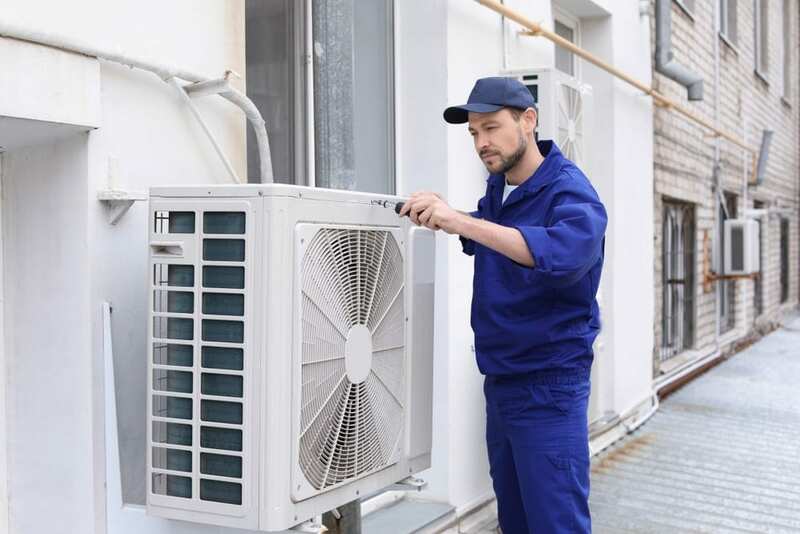 Many air conditioner owners think that if their AC installation is not very old and has not any sign of malfunction, there is no need to air conditioning repair service. Air conditioners should be maintained regularly. AC experts offer cleaning and servicing it once a year. It would be perfect if you can do it after winter in Phoenix AZ. A regular servicing will prevent problems from popping up down the line. Nobody wants to lose their air conditioner or its efficiency. To keep your air conditioner operating well beyond its projected lifespan, providing it with regular cleaning is the best way. Why do we recommend you AFR Dynamics HVAC and Electrical Service Company? We strongly recommend AFR Dynamics air conditioning repair company in Phoenix, because its expertise in AC repair, service and maintenance are the most reliable in other parts of Arizona. We offer our clients special discounts and extra care of your cooling system by highly qualified and skilled AC technicians. You will always see our technical staff in the company’s uniforms. This factor shows the discipline of our air conditioning repair service. While delivering their various air conditioning service, our administrative and technical staff are always honest, hardworking, courteous, much skillful and taking care of cleanliness in their work. All these features and company`s unique style of work make us perfect Air Conditioning repair service suitable for an educational institution, such as nursery schools, high school, colleges, universities, small health services, big hospitals, residential apartments, homes, industrial buildings in Phoenix and even an entire Arizona. When you observe any malfunctioning in your air conditioners such as leakage of water, unpleasant smell in your room, making noise or any other issue you face with your Air Conditioning in Phoenix, contact us immediately. We highly appreciate our clients contacting us for getting information regarding our services.